Figure 1. 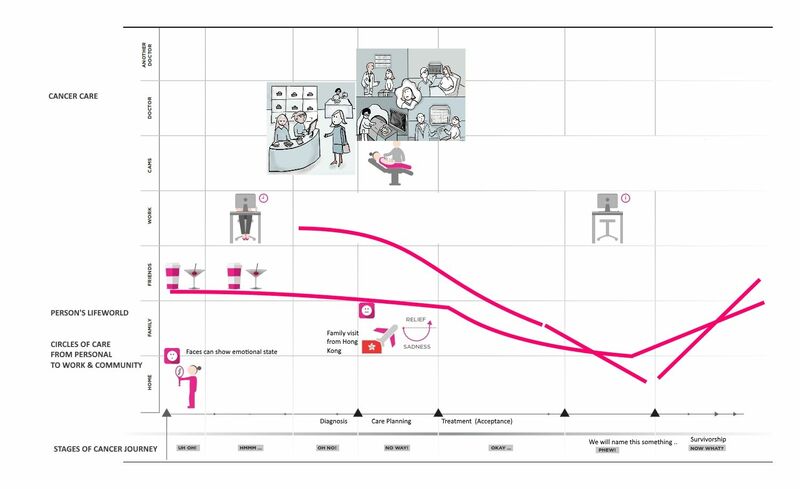 Draft map to illustrate the iterative design process. 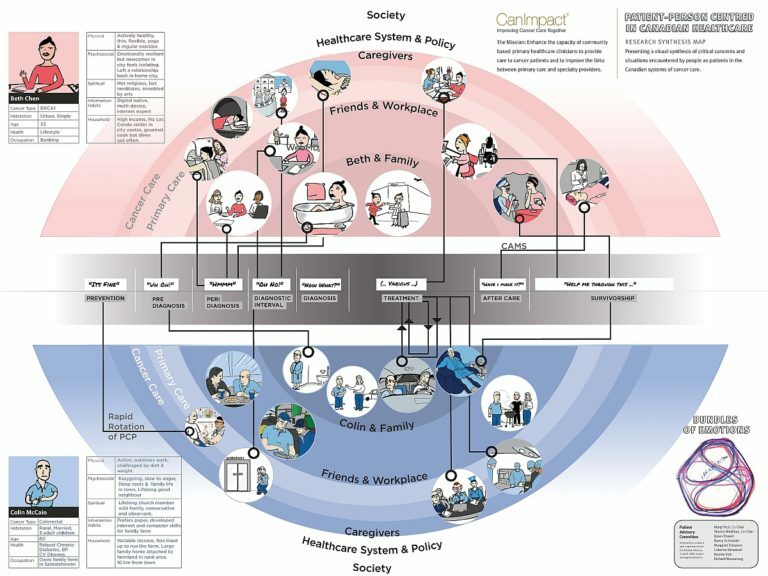 Patient map, which represents the breast and colorectal cancer experience from the patient’s point of view. The final maps were presented at a number of cancer research conferences, as well as as the Relating Systems Thinking and Design Symposium and Stanford Medicine X. The synthesis maps development process was described in the April 2017 issue of Current Oncology. 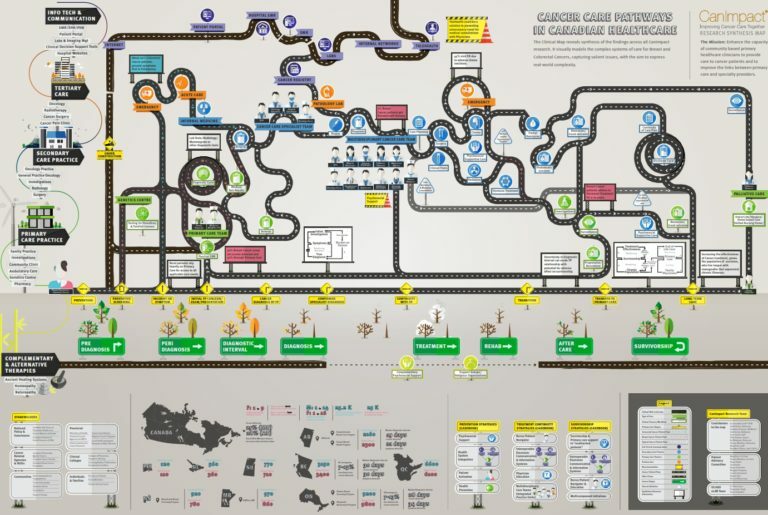 Jones P, Shakdher S, Singh P. Synthesis maps: Visual knowledge translation for the CanIMPACT clinical system and patient cancer journeys. Curr Oncol. 2017;24(2):129-34. For more information on synthesis maps, please visit the sLab website.